Mar. 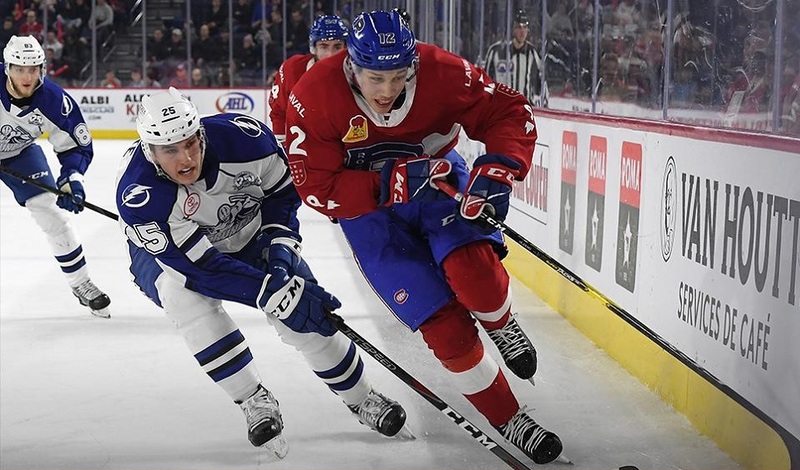 13: Crunch 4, Rocket 2 – With Charlie Lindgren now up with the Habs, Michael McNiven is getting a chance to run with the number one job. His first showing in that role wasn’t particularly strong. Despite having a much weaker lineup, Laval actually carried the play for significant portions but it wasn’t enough. Lukas Vejdemo scored late to continue his recent offensive run. Mar. 15: Rocket 3, Senators 2 (SO) – Connor LaCouvee got his first start with Laval in nearly six weeks and made the most of it. Both of Laval’s goals in regulation came on the power play while Daniel Audette picked up the winner in the shootout. Mar 16: Senators 6, Rocket 5 (SO) – This one was just nuts. There were 16 power plays between the two teams and they combined for eight goals with the man advantage (including all five of Laval’s tallies). McNiven once again had a rough showing which prevented the Rocket from picking up mini-sweep. - Hunter Shinkaruk returned to action from his lower-body injury, allowing Morgan Adams-Moisan to be returned to Maine of the ECHL. - After being a complete no-show offensively for most of the season, Alexandre Grenier has been better as of late with nine points in his last ten games. Mar. 20: vs Providence – It’s only the second time these two teams have faced off this season with Laval winning the first one in the season opener. 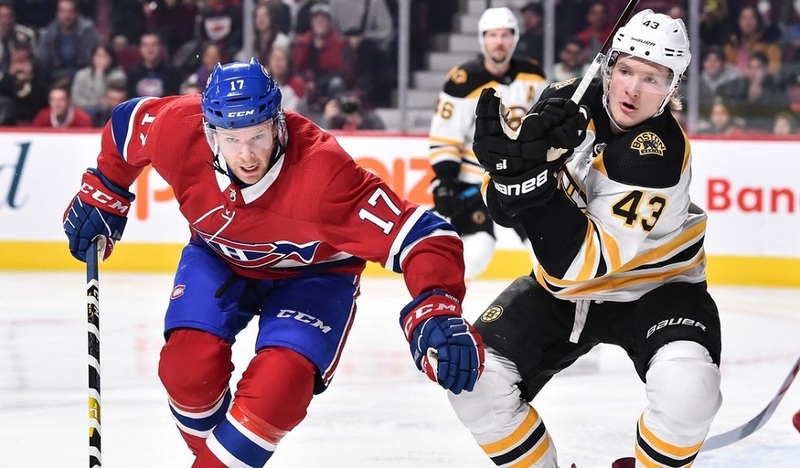 The Bruins are holding onto the final playoff spot in the Atlantic Division with a veteran-laden group up front led by midseason acquisitions Paul Carey and Gemel Smith. Mar. 22: at Utica – With a litany of injuries on the back end (particularly in Vancouver), the Comets have been decimated in recent weeks and have dropped out of the playoff picture though they are still in striking distance. Considering it’s the first end of a back-to-back for Laval, it’ll be interesting to see if Connor LaCouvee gets the start against the team that gave him his first AHL look earlier this season. Mar. 23: at Springfield – Laval is catching the Thunderbirds at the right time as their starting goalie in Samuel Montembeault is up with Florida (and faring quite well thus far) while one of their top scorers in Dryden Hunt (remember when he was at Montreal’s rookie camp a few years back?) is also with the Panthers. They’ve fallen out of the playoff picture as well so while Laval hasn’t fared too well on the road this year, this is another winnable game for them. It seems likely that the Habs will be signing another goalie for next season to split the duties alongside Michael McNiven. While many are expecting them to turn to the UDFA market (either NCAA or CHL), I wonder if they’re looking at Connor LaCouvee for that spot instead. He did quite well in his first stint with Laval and also held his own when he was sent back down to Maine and he picked up where he left off after getting recalled. The longer this goes, the more it looks like a potential diamond in the rough over just a fluke run. He’ll be 25 next season which means he’ll fall outside the entry-level system (it’s only Europeans who are in it until 27) and with Cayden Primeau probably only a year away, being able to sign LaCouvee to a short-term deal would probably be viewed as a positive by Montreal. If he does well, great. He’s an RFA and in the system. If not, it wouldn’t be a long-term commitment so the risk is low. Considering the Rocket won’t be in the playoffs, the stretch run doesn’t mean a whole lot for a lot of players. That isn’t the case for LaCouvee. 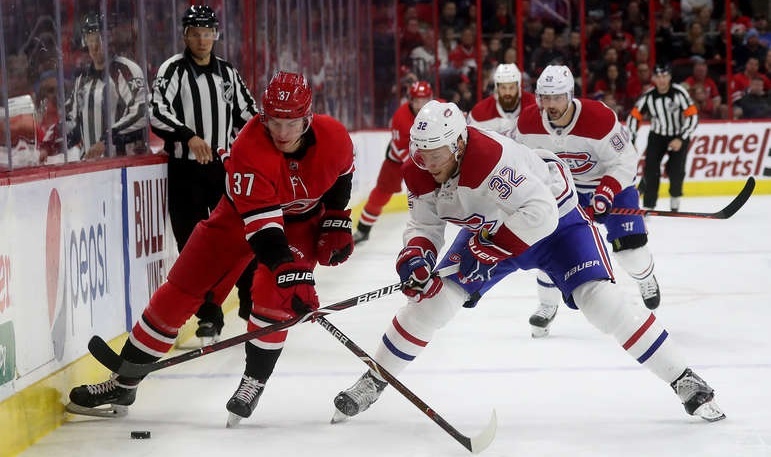 A good showing over the last month could put him in the mix for a contract from the Canadiens, something that seemed like a farfetched idea just a few months ago.